Design, comfort and service are key words for Domitalia, a dynamic company that for more than 40 years has been pursuing its mission to present itself to the world market as a symbol of quality, technological innovation and as the expression of true Made-in-Italy design. 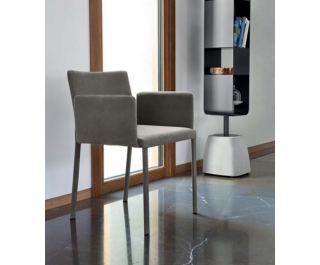 In addition to its very refi ned style and its attention to product ergonomics, among its strengths are its great fl exibility and its constant research for avant-garde technologies in the development of its new collections. A full range of pieces constantly renewed and expanded to respond to the changing furnishing needs and desires of consumers. The success of Domitalia lies in its commitment to continuous improvement and innovation. Always ready to develop new technologies and materials that were never used before, to differentiate and assert itself in all markets. Domitalia furniture transmits elegance, sophistication and quality in environments such as the kitchen, the dining room or the living room.